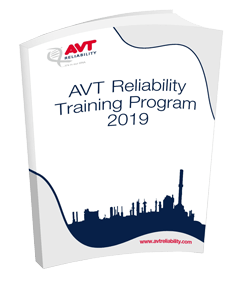 AVT Reliability provides courses to international standards – ISO 18436 and BINDT PCN, ICML, Energy Institute. This 3 day course* not only covers the fundamentals, but provides best practice solutions to ensure your plant achieves world class levels in lubrication management. The course is designed to be interactive and attendees will be encouraged to participate with questions and discussion. Worked examples and case studies will be a key part in this training. The content covers the body of knowledge as laid out for ISO 18436/CM GEN Appendix C certification. This 3 day* course is targeted at helping your company’s reliability drive in the areas of lubrication, oil analysis and contamination control. The course not only covers the fundamentals, but provides best practice solutions to ensure your plant achieves world class levels in lubrication management. The course is designed to be interactive and attendees will be encouraged to participate with questions and discussion. Worked examples and case studies will be a key part in this training. This 3 day course*, Level III is directed toward advanced diagnostics and troubleshooting, integration with other technologies and program management. This is targeted at the reliability engineer / engineering manager level of individual. The course not only covers the fundamentals in depth, but provides best practice solutions to ensure your plant achieves world class levels in lubrication management. The course is designed to be interactive, and attendees will be encouraged to participate with questions and discussion. Worked examples and case studies will be a key part in this training. The content covers the body of knowledge as laid out for ISO 18436/CM GEN Appendix C certification. Get your staff qualified and on the road to achieving best practice and world class standards. Course outlines can be found in this section, for more detailed information including dates & locations - Please download our training brochure.